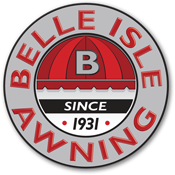 Belle Isle Awning isn’t just a company – we’re part of our community. We are proud members of all leading industry associations within our field, and our membership allows us to build the knowledge and relationships it takes to provide the best possible service to our customers. Giving back to the community we serve is also a big part of our business. That’s why we are proud to support leading charitable organizations such as the Skin Cancer Foundation, who are working to help families and find a cure for this devastating disease. The Skin Cancer Foundation is the only international organization devoted solely to education, prevention, early detection, and prompt treatment of the world’s most common cancer. Take your stand against skin cancer. The Professional Awning Manufacturers Association, a division of IFAI, is the only international trade association serving the awning industry. We work to increase awareness of products and services through education and marketing. PAMA provides a forum to exchange information, solve common problems and develop mutually beneficial relationships. The Industrial Fabrics Association International (IFAI) is a not-for-profit trade association comprised of member companies representing the international specialty fabrics marketplace. Member companies range in size from one-person shops to multinational corporations. Members’ products cover the broad spectrum of specialty fabrics and include fibers, fabrics, end products, equipment and hardware. The Blue Book Network continues to grow and is now the largest and most active network in the commercial construction industry including General Contractors, Subcontractors, Suppliers, Architects, Engineers, Building Owners, Transportation and Utilities Professionals, Real Estate Developers and Property Managers and Government Agencies. The mission of CAM is to provide service, information and assistance to the construction industry. The Association exists to foster growth in the construction industry and encourage networking between members and their publics. CAM will act as a catalyst to promote and enhance profitability, efficiency and integrity within the industry for the benefit of Association members. TradeFirst is a nationwide e-commerce network of businesses that work together, trading goods and services in order to generate new business, offset cash expenses, and increase profits by utilizing excess capacity and inventory. A fantastic variety of high quality, fairly priced goods and services are available through TradeFirst. From awnings to marine to casual furniture, Sunbrella fabrics have led the industry with extensive styles and colors while providing unparalleled performance. In the early 1990s Sunbrella unveiled its softer side with stunning fabrics targeted at the interior design trade and now available in design showrooms across the country. Today, Sunbrella is used in a variety of innovative new products that offer creative solutions for consumers and the design community. Trivantage is an international supplier of specialty fabrics and hardware used in the manufacture of awnings, structures, signs, casual furniture, tents, umbrellas, marine products (interior, tops and covers) for residential, commercial and architectural applications. We serve awning and marine fabricators, architects, interior designers, sign manufacturers, digital printers and upholstery shops.